Mícheál Ó Ciarradh and Sinéad Ní Uallacháin have been confirmed by TG4 as the Irish commentators for the Junior Eurovision Song Contest 2018. Mícheál Ó Ciarradh is a television presenter for Cúla4, TG4’s youth programming. He was also one of the ambassadors for Seachtain na Gaeilge (Irish Language Week) in 2017. Sinéad Ní Uallacháin is a radio presenter who presents the weekday morning radio show Sinéad Ar Maidin (Sinéad in the Morning) on RTÉ Raidió na Gaeltachta, Ireland’s national Irish-language radio station. She is also known for co-presenting the RTÉ podcast Beo Ar Éigean (Somehow Alive). Both commentators are commenting on Junior Eurovision for the first time. The contest will be broadcast in Ireland on TG4. Fourteen-year-old Taylor Hynes was born on 22nd April in Dublin, Ireland. Taylor is one of the oldest participants of this year’s Junior Eurovision Song Contest. He previously attempted to represent his country at the 2016 contest but failed to reach the final. He then went on to compete again the year after, however he fell ill with laryngitis. 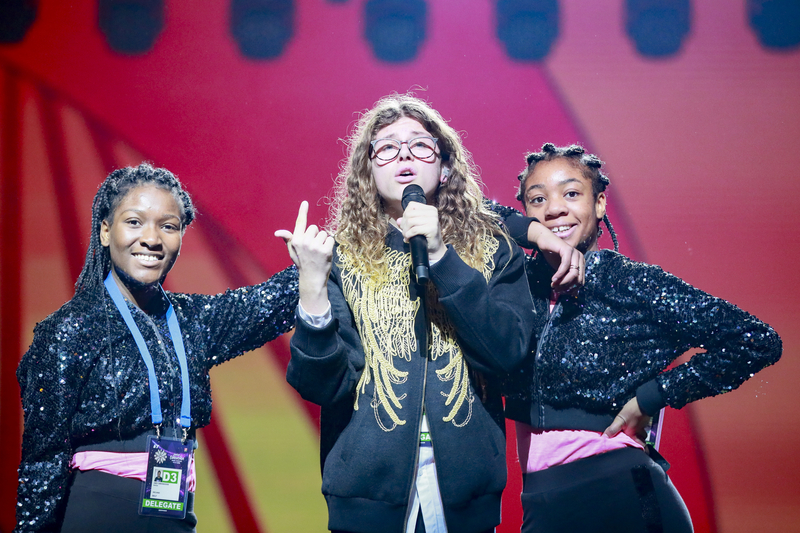 Earlier this month, the final of Junior Eurovision Éire was broadcast on TG4. Six artists took to the stage, with Taylor winning the competition with his Irish song “IOU”. Eurovision winner Niamh Kavanagh and 2018 Irish entrant Ryan O’Shaughnessy also feature in the music video for the song. Ireland debuted in the Junior Eurovision Song Contest at the 2015 contest in Sofia, Bulgaria. The countries participation is organised by the Irish language broadcaster, TG4. At the 2015 contest in Bulgaria Ireland was represented by Aimee Banks with the song “Réalta na Mara”, she finished 12th in the final. The country’s best result came at the 2016 contest in Malta. Ireland was represented by Zena Donnelly with the song “Bríce ar Bhríce”. She finished 10th in the final scoring a total of 122 points, including receiving the countries first 12 points in the contest.